Have you at any point felt that a room was simply “off” some way or another, yet you just couldn’t put your finger on what it was? Living rooms are apparently the most utilised spaces in the home and need a good layout that promotes good traffic flow. Living room rug spacing and placement is vital for comfort and function! Keep these tips in mind when you are moving in or get a sudden desire to rearrange one weekend. 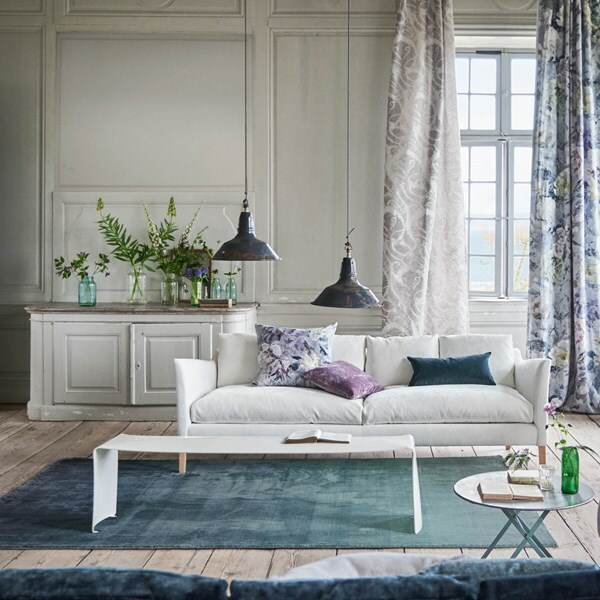 If you think that your living room would look better with the introduction of a living room rug then you need to have a good idea of where to place the new addition. You have to get their positioning right for the full impact. 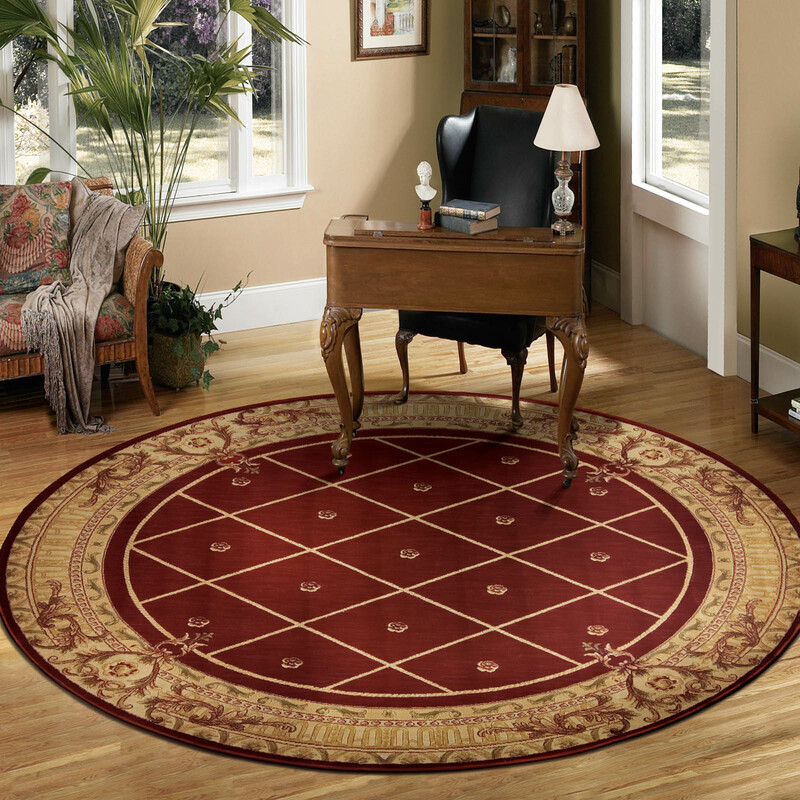 The measurements of a living room will command the ideal size and shape rug for the space. 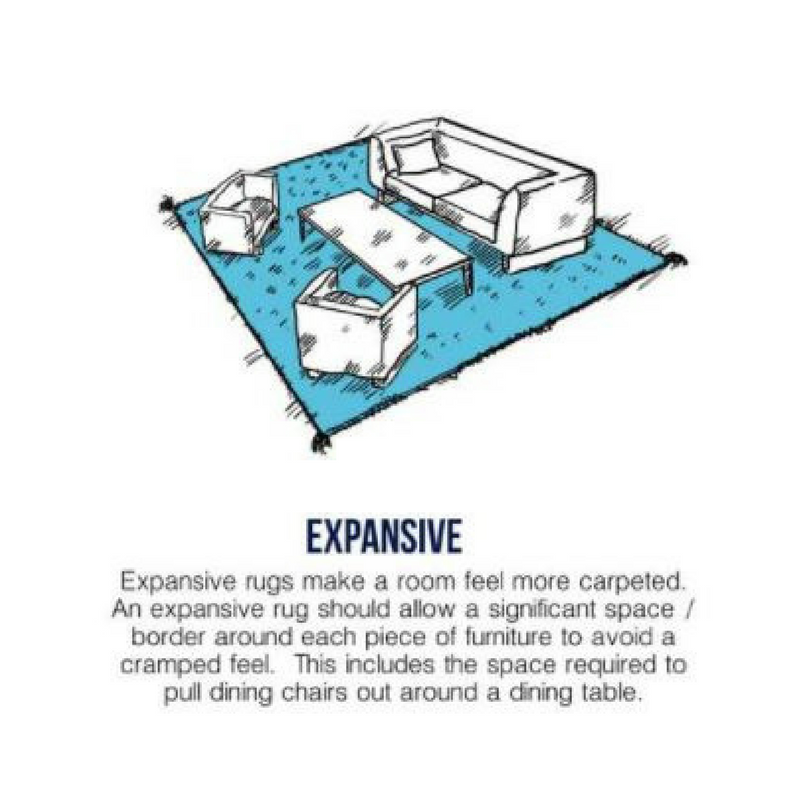 Here are some useful tips that take into account the layout of the furniture using rectangular rugs. 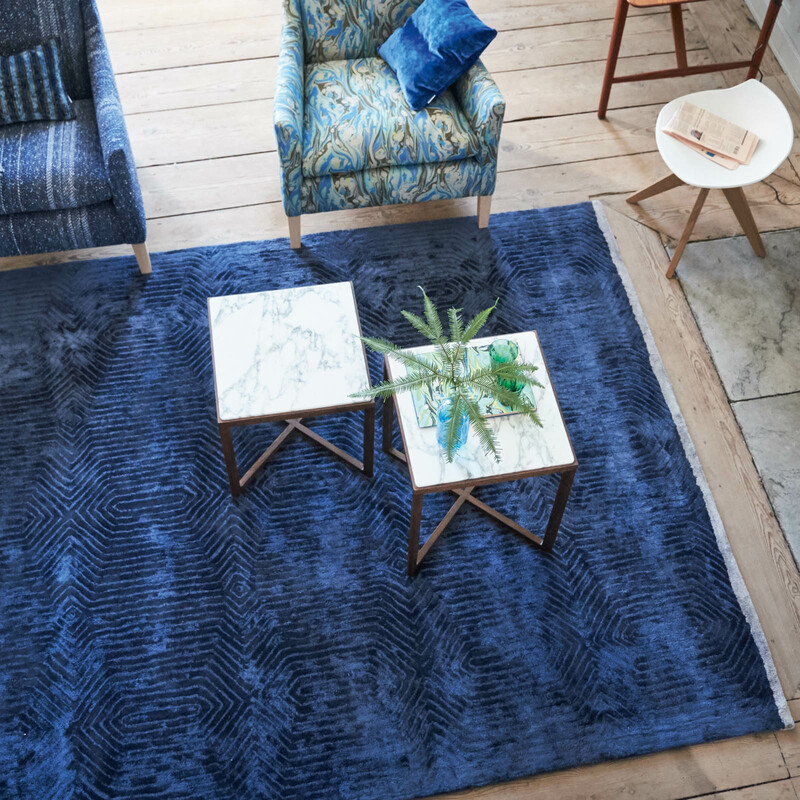 Keeping in mind the end goal is to find the right rug and then properly arrange it to flawlessly emphasise your stylistic décor. 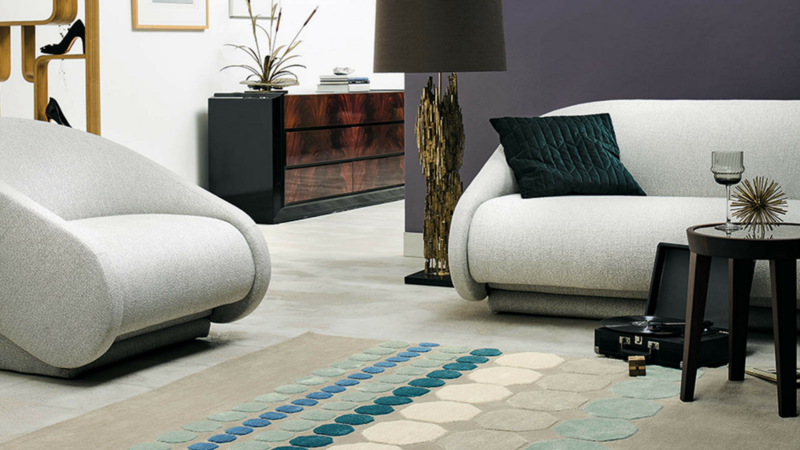 You’ll need to consider something beyond style, colour and material – size and shape matter also. An ideal size living room rug in a shape that best suits a particular space will help to invigorate the entire aspect of a room. While also displaying the finest qualities of the rug itself. 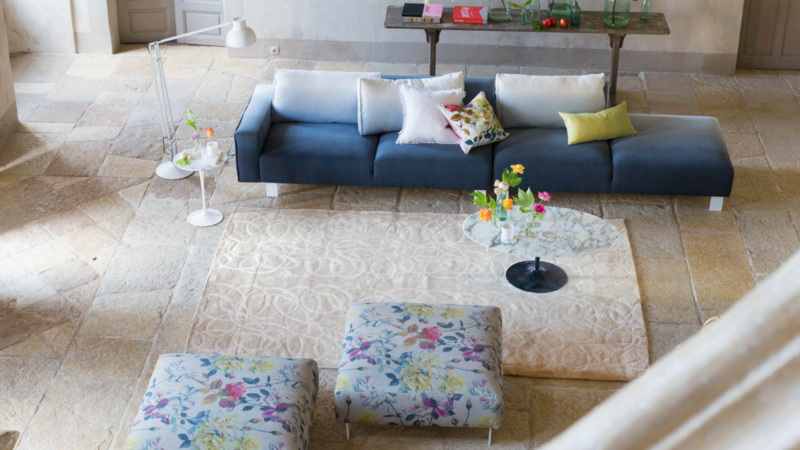 Here are some helpful tips on how to arrange a new living room rug. 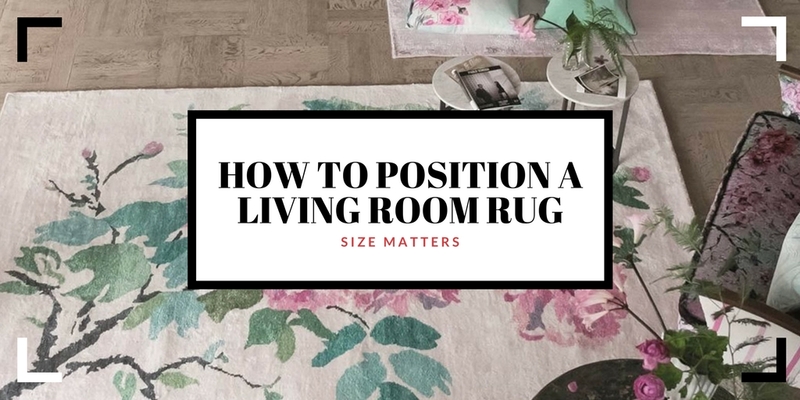 In general, the rule of thumb is to allow roughly 18 inches of uncovered floor space around the border of a living room rug. However, the overall size and location of the room should also be taken into consideration. Before buying a living room rug, map out your room to scale. Then consider doorways, furniture size, and exposure to the sun among other things. Focus on the points of interest of your space and how everything will gel. Rule 1: Front legs on the rug, back legs off. Here is a beautiful room where the front legs sit on the rug while others are off. This approach truly works much of the time. 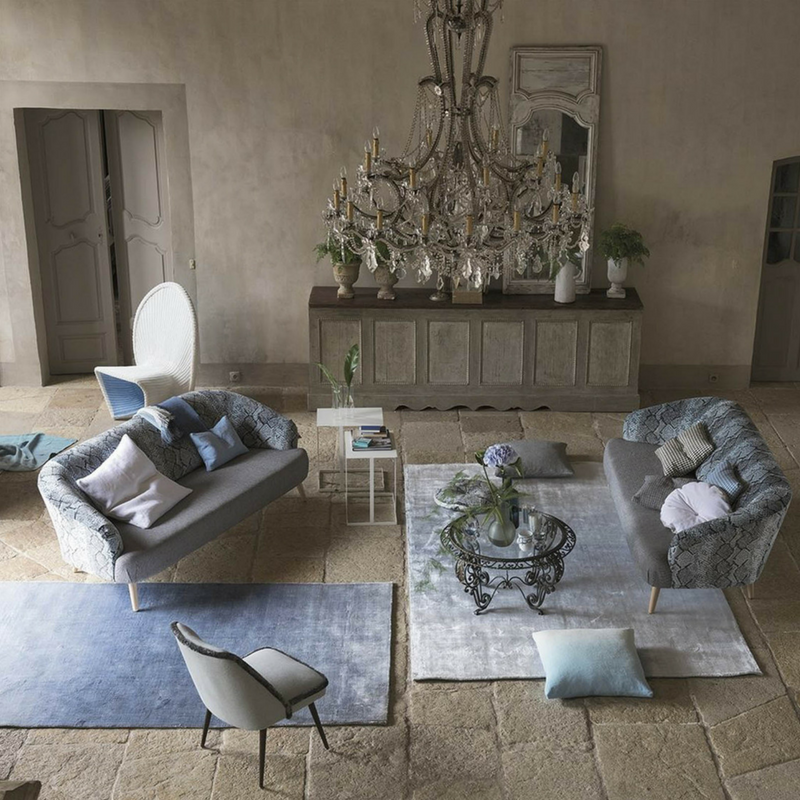 The rug connects the various furniture pieces together while extending far enough into the room to create a sense of good proportion. Another example of following this rule, seen from above, shows its effect very well. 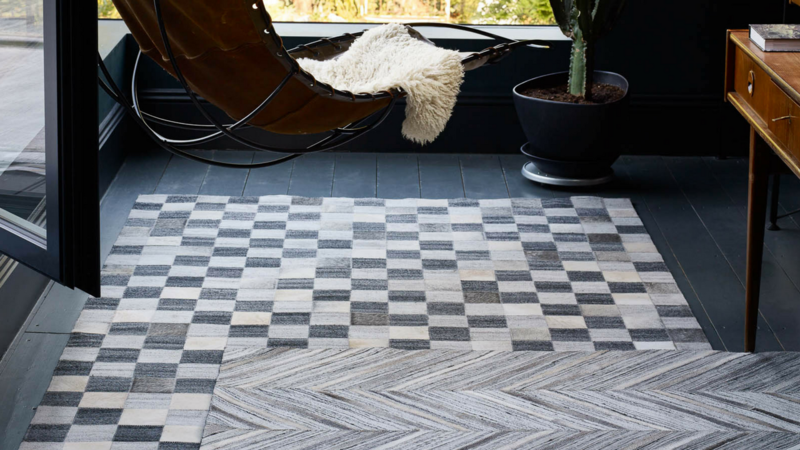 It works well here in large part because the tone of the rug is very similar to the wood flooring Which makes the break between the two visually subtle. Rule 2: Some front legs on. 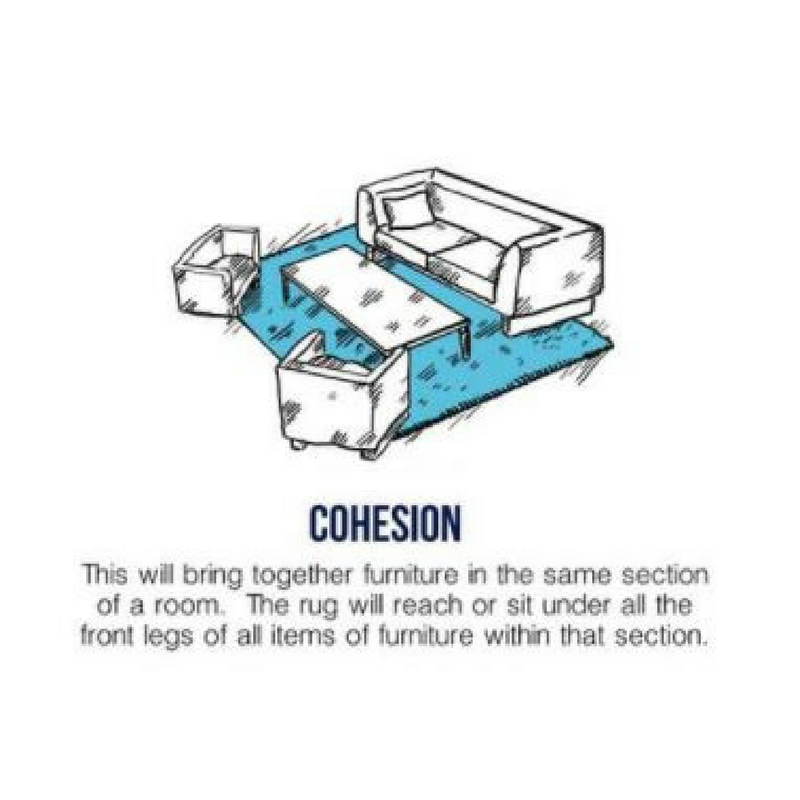 Before moving onto examples where all the legs are placed on the rug, let’s look at a hybrid of the two approaches. Here only the front legs of the sofa sit on the rug while the placement of the chairs leave all four legs firmly on the rug. This proves to be more effective here than if only the front legs of the chairs fit onto the rug. This is because of the size of the room and the contrasting tone of the rug against the flooring. Rule 3: All legs on the rug. 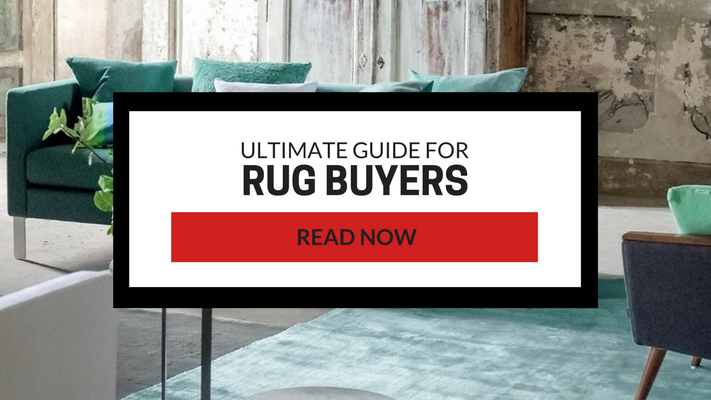 One tip is to determine the furniture placement prior to selecting what size rug to use, which leads to the next rule: A room generally looks more pulled together if all the furniture legs are planted firmly on the rug. Rule 4: No legs on the rug. 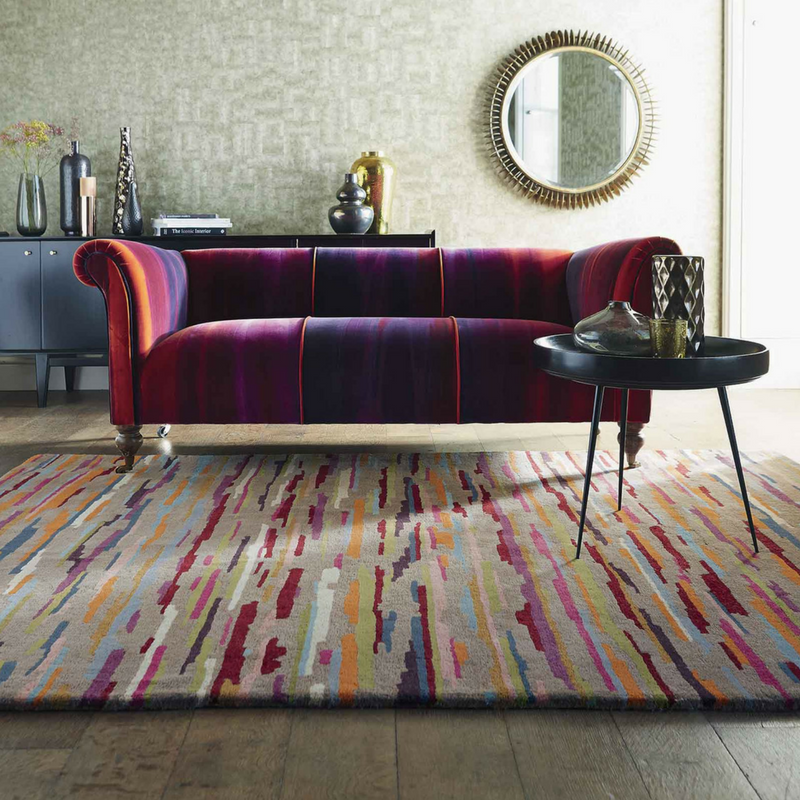 Now if you would like to bring in just a small rug, perhaps one that introduces a pop of pattern into the room. Another approach would be to have none of the furniture touching the rug. While this creates a completely different look, it also works! Rule 5: 18 inches of bare floor around the rug. 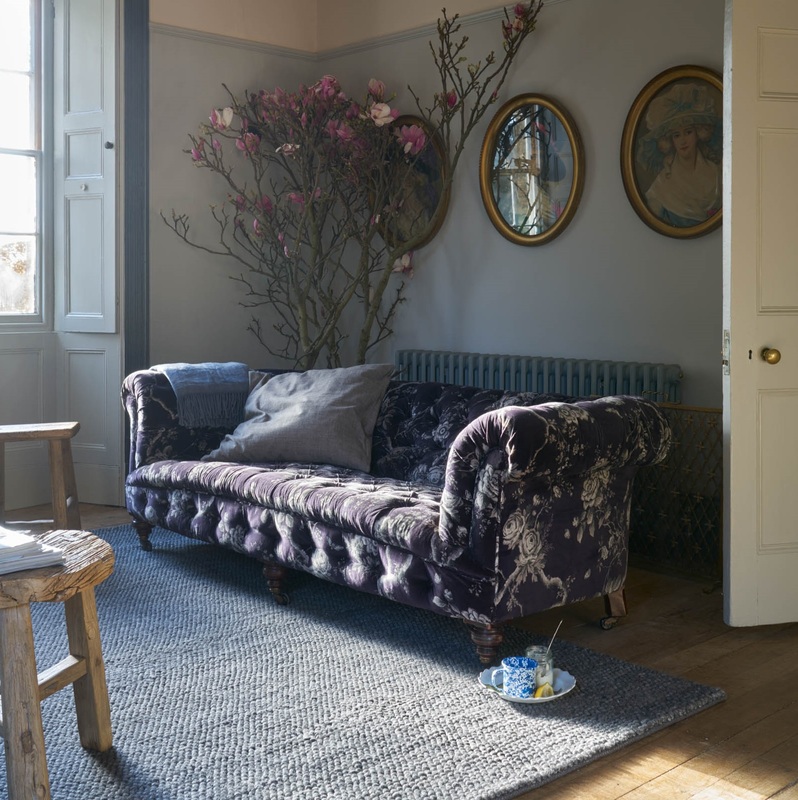 The next rule has been a standard for ages, and this approach states that there should be approximately 18 inches of bare floor between the rug edge and the perimeter walls of the room, bringing in traditional proportion. This guideline is great in rooms that are enclosed and separate from surrounding rooms, as opposed to open concept spaces. Rule 6: Just a few inches of floor around the rug. Here is a successful application of the rule to run the rug up to within inches of the wall around the entire room. While a traditional approach, it feels modern here due to the decor decisions. 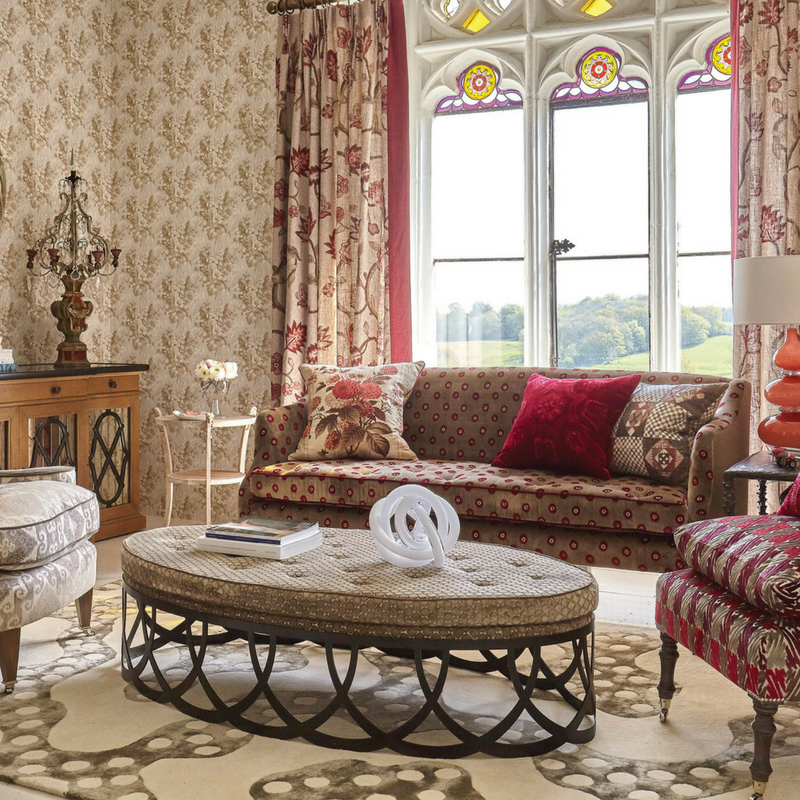 In making rug decisions for a room, another approach would be to bring in a living room rug. This can be very effective when the room is large with more than one seating arrangement. 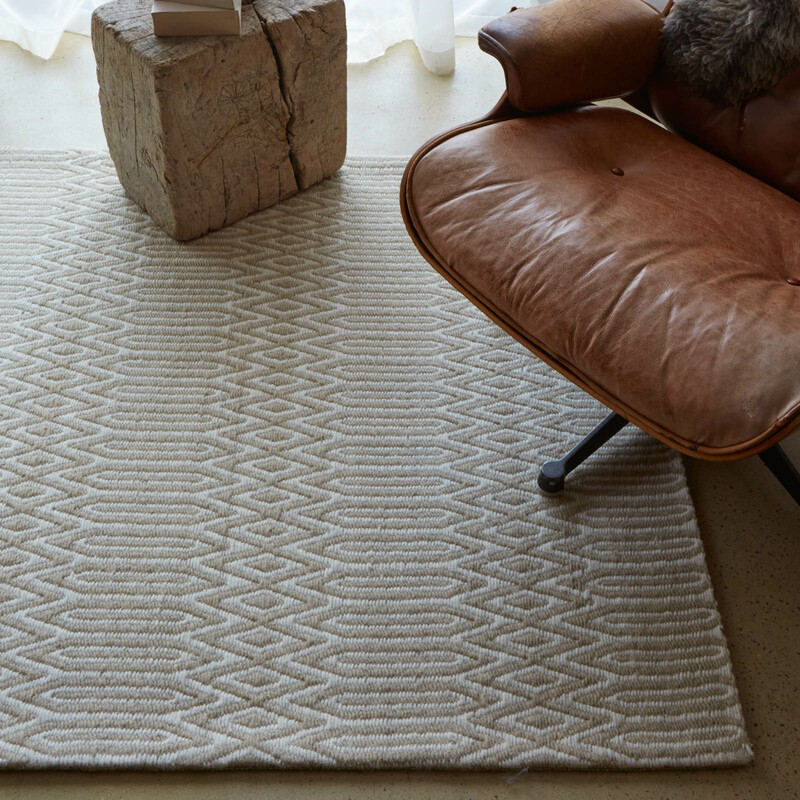 Choose a rug size that complements the furnishings in the room to create a cohesive look for living spaces. 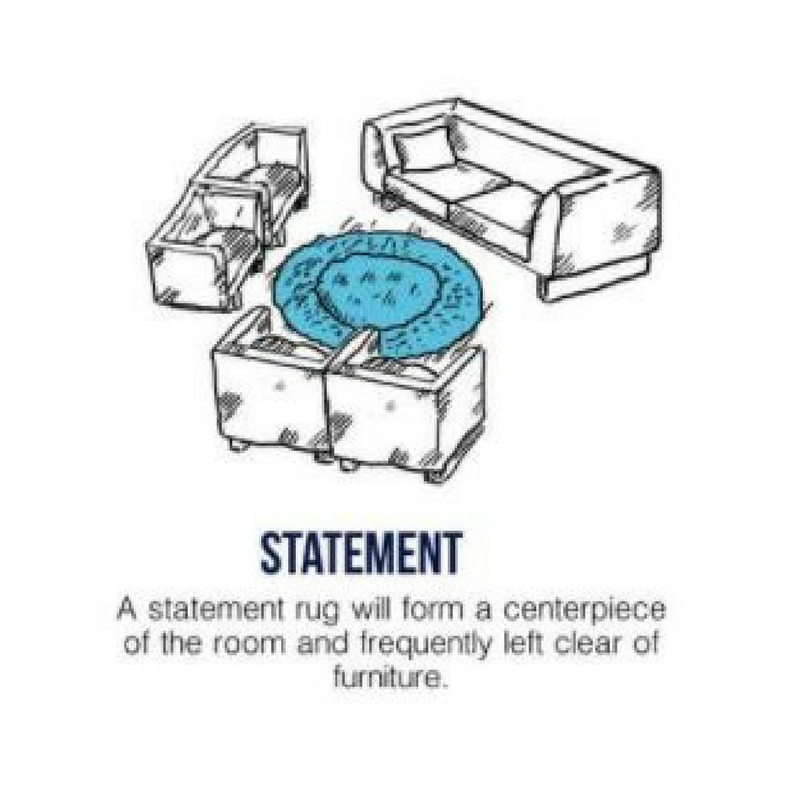 Don’t worry about whether your furniture fits entirely on or off the rug. What’s important is that it looks right to you. Open floor plans can often make it seem that furniture is floating. 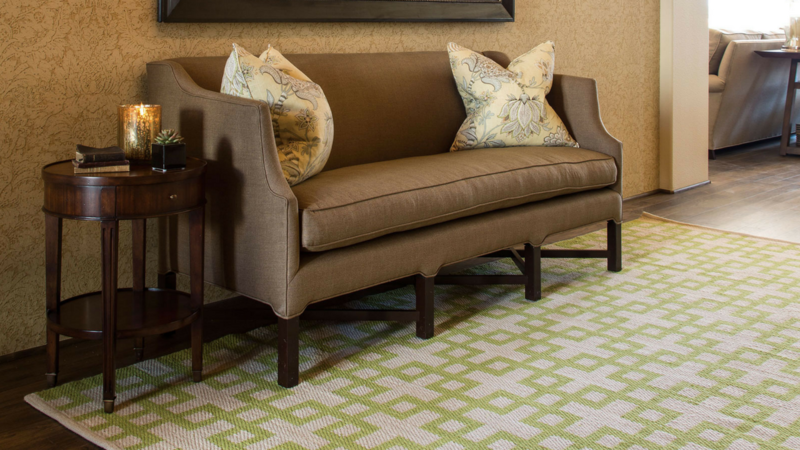 A carefully placed rug will anchor the space and create a defined area for entertaining, working or relaxing. 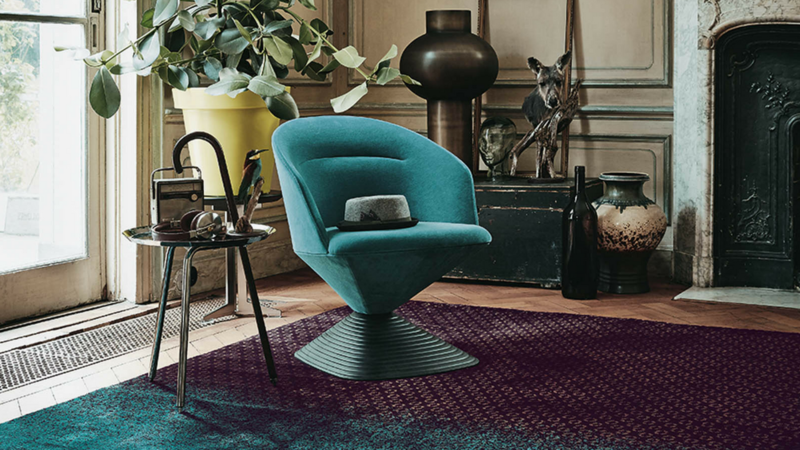 A small rug that is sized to have furnishings cluster around it. 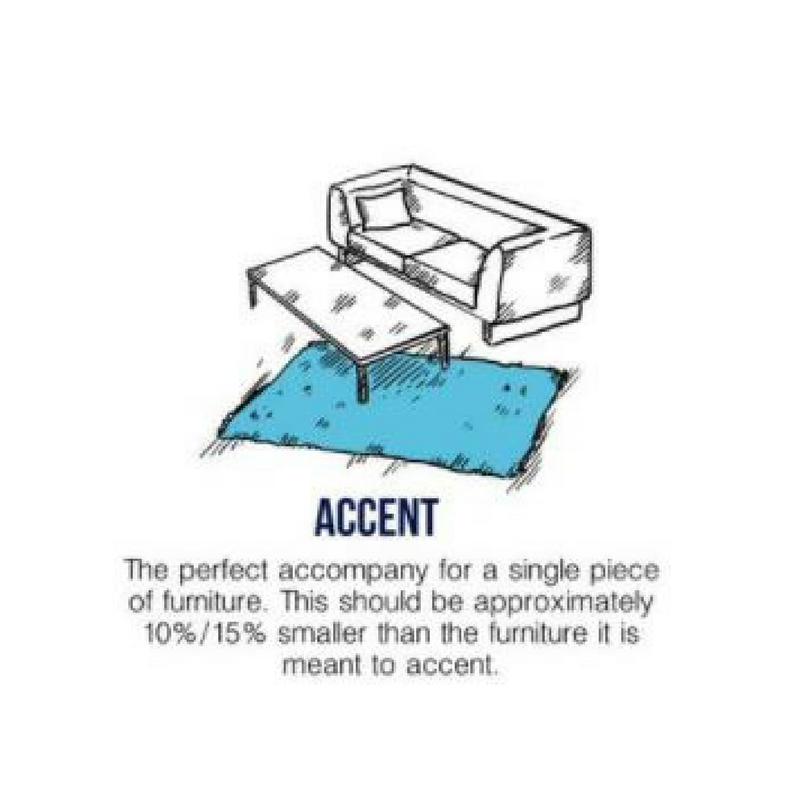 Whether under a cocktail table or on its own, helps pull together living rooms and conversation areas. 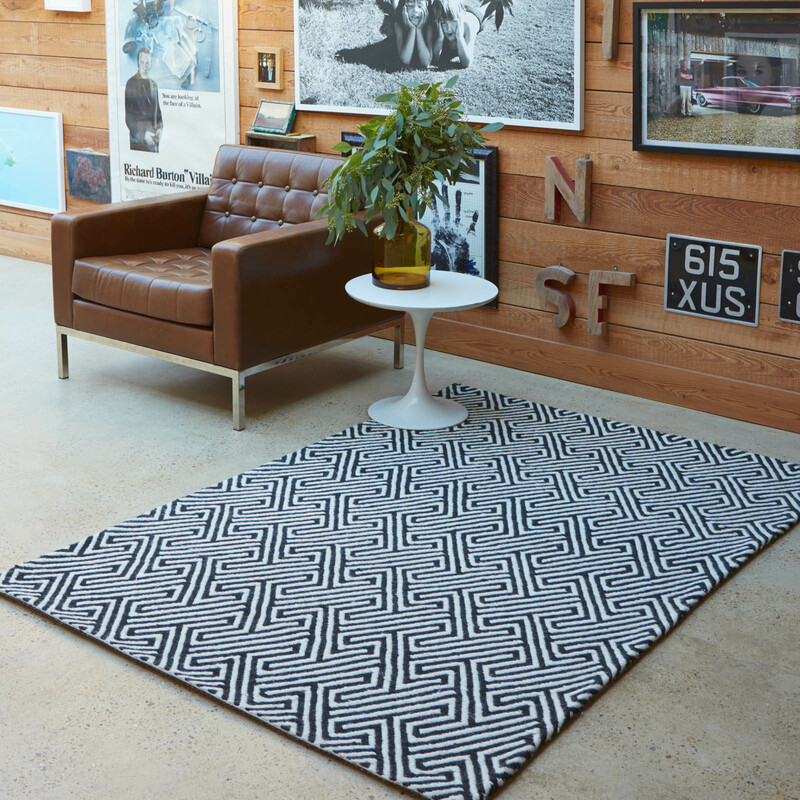 Or choose a rug that’s large enough to outline the perimeter of your space. 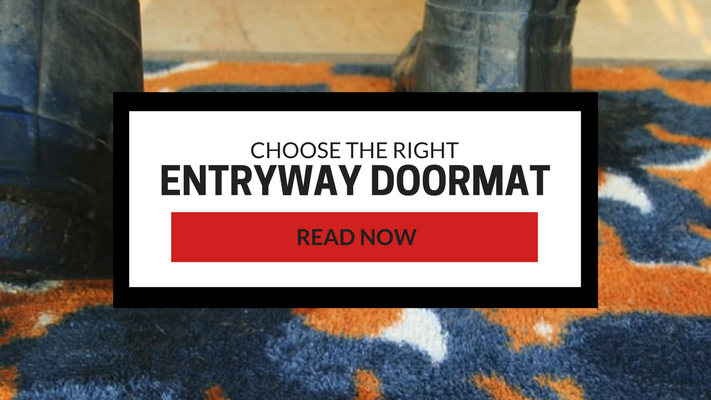 To sum up this post, there are multiple rules to guide the decision of what size rug is best for the rooms of a home and many of them completely contradict one another! But being aware of the various rules can provide guidelines to help determine which approach is most appealing to you and will be effective in achieving the look you desire in your individual spaces. Do you have any design rules you follow? Let us know in the comments.